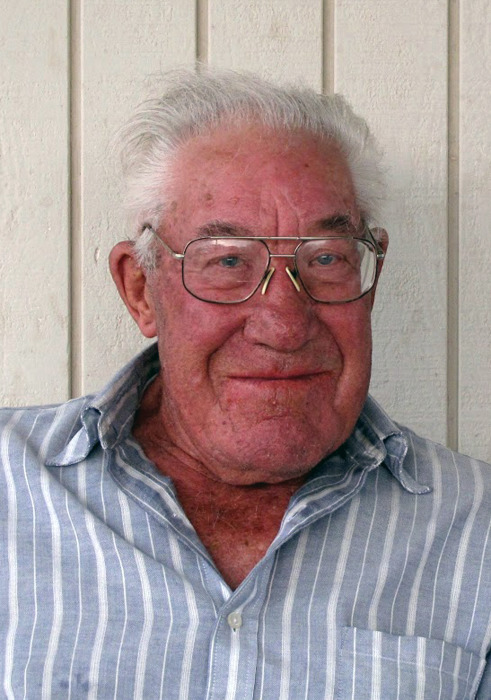 Blain Mendenhall Webster (97) died Wednesday, April 3, 2019 from age and complications due to a stroke. He was born on November 15, 1921, the son of Samuel John Webster and Ada Louise Mendenhall Webster. Blain was the youngest son of a large family who made their home on a farm in Glendale, just outside Preston, Idaho. He married Leona Hansen on April 2, 1947 in the Idaho Falls LDS temple. They had three children: Stephen, Janet, and Dennis. Blain and Leona also cared for his disabled sister and our Aunt Donna throughout their lives. Blain spent his entire life working on the farm. He left school to work on the farm full time in about 8th grade. Just weeks before his death, Blain spoke of spring and of going up to the farm to disc a field and plant barley. He was a staple on the farm and in his children’s and grandchildren’s lives. We remember him most as simply being there in good times and challenging ones as our rock, our constant, and our north star. He taught us to navigate both life and loss. We will miss his steady influence. Blain Webster was preceded in death by his parents and all 12 of his siblings. He was also preceded in death by his wife Leona, his daughter-in-law Beth Webster, a son-in-law Scott Page, a son Stephen J. Webster, and son Dennis H. Webster. He is survived by his daughter, Janet (Scott) Page of Columbus, Ohio; a daughter-in-law, Karen Webster (Dennis) and by 9 grandchildren and 18 great-grandchildren. As was his wish, Blain was able to live independently and in his own home. The family wishes to thank friend and neighbor, Marsha Ainscough, who brought food and checked in on Blain for many years. In addition, he was blessed with exceptional home health nurses who went the extra mile in caring for Blain over the years. Their loving service is much appreciated. Funeral Services for Blain will be held on Saturday, April 6th at 12:00 noon at Webb Funeral Home, 1005 South 800 East in Preston, ID 83263. A viewing will be held previous to services on Saturday, from 10:00 am – 11:30 am. Interment will be at the Franklin Cemetery. Memories and condolences may be shared with the family at webbmortuary.com.